funkadelic, marvin gaye, os mutantes, terry stafford, the dynamics and more. This show was 10th in the global oldies chart, 11th in the global rock &apos;n&apos; roll chart, 20th in the global soulful chart and 76th in the global funk chart. spill the wine! 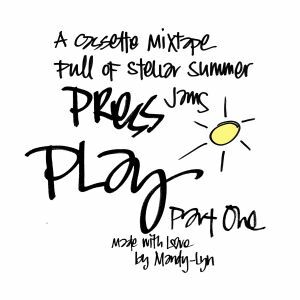 this is part one in a series of summer mixes accompanying my campaign to raise funding for PLAY by Mandy-Lyn, my first hardcover photo book!